Tonight we had a guild meeting and dinner at the Center, then enjoyed a lecture by Fran Brill. 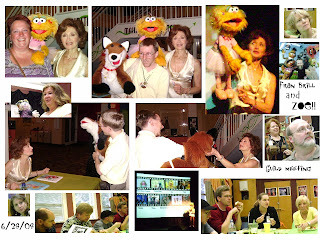 She was the first female muppeteer on Sesame street and performed Prarie Dawn and Zoe, among others. How cool that you had the chance to meet a pioneer in the puppet world!